So my disappointing news is that the ‘Passion Test Facilitators Course‘ mentioned in this post has been postponed until the end of June! I have to say, I wasn’t too surprised. Trying to find accommodation in Sydney in peak holiday season, that is also reasonably priced was difficult for the organisers and realistically needs to be booked at least 6 months to a year in advance. I almost instantly started looking at the positives for the course being postponed whilst still feeling the disappointment. I felt less pressured straight away. We needed to know where we were staying as soon as possible because we were booking for four whereas a lot of the participants, I imagine, will be booking for one. 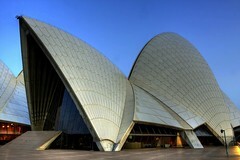 As soon as I mentioned it to Peter he said that the end of June is when he wanted us to go for a holiday near Sydney. He’s hoping to take some extra leave and organise this. Travelling by car which we’d decided to do, in cooler weather is a bonus. Charlotte does not cope with the heat & I don’t cope with airconditioning, so that’s great! Just in case you’re wondering, yes I will put the airconditioning on in the car and suffer for it. Better me than Charlotte. Bushfires are something to take into consideration in Summer, so now we don’t have to worry about that. They strike fear into my heart and there’s a lot of thick bush on the drive up to Sydney from Victoria. I guess in Winter we may have to contend with floods, but give me floods over bushfires anyday. I’ve had too many close encounters with the latter in the past few years. There you have it. My positive slant on a disappointing situation. I’m rather pleased with myself. Sometimes I can buy into the negatives of a situation more than the positives, but I’m learning. How would you deal with a similar scenario?